While the varsity lacrosse team fell to ESD 12-4 while finishing 2nd in SPC on Saturday, last week was full of success. Overall, the Lions won 4 of 5 games in 5 days. On Tuesday, the Lions beat SPC rival Greenhill to solidify their spot as the number 2 seed in the North for the SPC tournament. On Wednesday, they traveled to Allen to avenge the last two losses of the 2015 season. Against a very athletic and tenacious Allen team, the Lions prevailed 8-5 to earn the number 4 seed in the district and a home playoff game on May 4. On Friday, the Lions came out firing vs St. John’s in the first round of the SPC tournament. Long stick midfielder, Nehemiah McGowan ’17, scored the first goal of the game and the team never looked back. 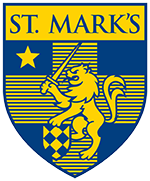 St. Mark’s won 15-2 and had an opportunity to face the South Zone #1 seed, Kinkaid, later that day. Again the Lions fueled by a great deal of energy and enthusiasm started fast and got out to a 4-0 lead. John Gunnin ’18 stayed sharp in goal, only allowing 4 goals. The Lions, led by their attackmen Graham Gillespie ’16, Jake Vaughn ’17, and Will Wood ’18, scored 12 goals to win 12-4. Rish Basu ’17 also had a career day scoring 3 goals. Another highlight of the week was the faceoff play of Tucker Ribman ’18. In a relief effort for an injured Case Lowry ’17, Tucker earned the Lions numerous possessions that led to their success throughout the week. The Lions are back at it on Friday, April 22, against Highland Park. Prior to the game, the team will honor the seniors as they play their last regular season home game. Coach Donald would like to thank the community for all of their support during the Lions’ successful SPC run. The varsity tennis team hosted two home SPC counter matches against Cistercian and All Saints. The team won both matches 5-0. Against Cistercian and All Saints the team also played several friendly matches, winning all of them. The Lions are 7-0 in conference play with 2 matches remaining. This week the Lions hope the rain holds off so that the team can host Greenhill (also currently undefeated in conference) on Tuesday and then travel to Oakridge on Thursday. In what has been a “trap” game of sorts over the past few seasons, the varsity baseball team squared off at home against a scrappy, well-coached Cistercian team last Tuesday. Although a throwing error by the Lions allowed the Hawks to tie the game up in the top of the 6th, St. Mark’s kept calm and carried on by manufacturing four runs in the bottom half of that same inning to put the game on ice, 8-4. On Alumni Weekend Friday, the Lions faced a tough, confident foe in All Saints. Playing inspired ball in front of an encouraging crowd, St. Mark’s trailed most of the game but rallied to score two runs in the 6th inning to finally send the Saints marching home for good, 4-3. Outstanding pitching, sound team defense, and clutch hitting led the way. The Lions improved to 11-2 on the season and 6-1 in counter play. With two games remaining before SPC, we will honor our Seniors and their families at home Tuesday for Senior Appreciation Day against Greenhill and will then travel to Arlington to face Oakridge on Thursday. The Varsity Crew had a big weekend at the second regatta of the season, the Texas Rowing Championships. Lions rowers raced in 8 events qualifying for 4 finals and medaling in 2. In the Lightweight Double event Aiden Blinn ’17 and Taylor Rohrich ’16 earned a bronze medal, beating out crews from the Dallas Rowing Club, Texas Rowing Center and Parati. In the Single event, Alden James ’16 took the Silver, beating out rowers from the Dallas Rowing Club, Woodlands, Texas Rowing Center. The next regatta is the USRowing Central Youth Championship in Oklahoma City May 7-8. The top two finishers in qualifying events at this regatta will earn a spot to row in the Youth National Championships. 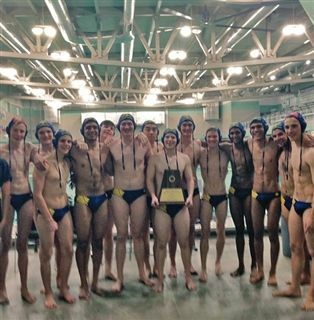 The Lion Water Polo Team played in the North Texas Regional Championship this past weekend. Out of 23 schools playing in the North Region, 12 qualified for the Championship. The Lions had earned a bye in the first round of the tournament, and in the second round the Lions faced Colleyville Heritage HS, winning the game 20 to 1. In the semi-final the team played very well and defeated Denton – Guyer HS, 13 to 5. In the Championship Game the Lions faced the Jaguars of Flower Mound HS. In front of a large crowd consisting of many Marksmen classmates, the Lions won the game 8 to 5. This was the 15th straight Regional Championship for St. Mark’s Water Polo. Andrew Lin and ’17 Easton Honaker ’17 were awarded 1st Team All-Region, and Daniyaal Kamran ’16, Christian McClain ’17, and Philip Montgomery ’16 were named Honorable Mention All-Region.